With these incredible Spray, you can quickly and evenly add delicious healthy fat to your favorite recipes in a fast, convenient, natural way! 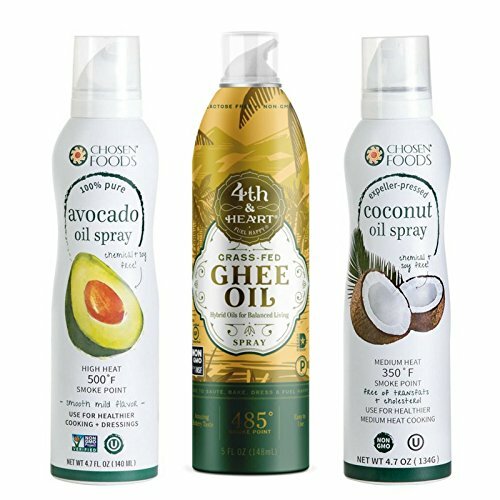 Try All 3 AMAZINGLY Convenient and healthy cooking sprays - Avocado Oil Spray, Coconut Oil Spray, and Ghee Oil Spray! You can quickly and evenly add healthy oil to your food in a natural way! If you have any questions about this product by OneStopPaleoShop, contact us by completing and submitting the form below. If you are looking for a specif part number, please include it with your message. Raos Roasted Pepper with Raisins and Pine Nuts, 12 Ounce -- 12 per case.